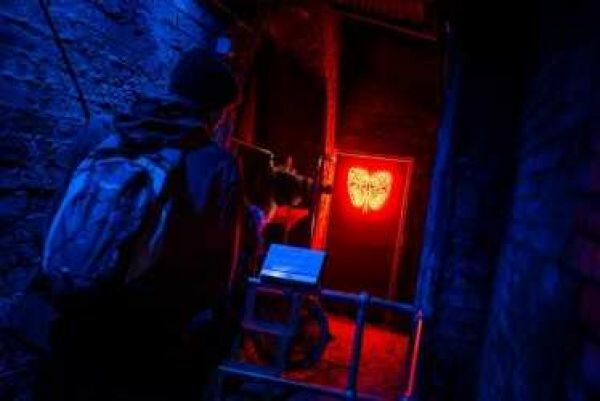 Coal Forest will see the site transformed through a series of magical and thought-provoking art installations in our museum and colliery heritage buildings. Neon lungs glow in the heart of the colliery ventilation system. A plainsong chant leads to a kaleidoscopic vision of coal; past, present and future. A curious, tree-like figure has taken root in front of the blacksmith’s forge. An unearthly stag is disturbed as he grazes in the depths of the mine. Extraordinary and ancient insects creep through the colliery site. Coal Forest will be complemented by an exciting event programme that shifts with the seasons through Autumn, Winter and Spring. Grow in springtime, as we launch our new open art exhibition ‘Into the Woods’ alongside a programme of nature and wildlife inspired walks, talks and things to do. Featuring: Brass Art, Crowe & Rawlinson, Laura Ford, Kelly Richardson, Thrussells, Bethan Maddocks Please note that some of the Coal Forest experiences are included free as part of your Museums Northumberland Annual Membership Membership is required for entry onto the museum site. Membership Prices for Woodhorn Museum: Adult: £7.00 (Multiple adult purchased at the same time: £6.50). Concession (OAP and student) £6.00 Children 16 and under are admitted free at all Museums Northumberland venues. *Membership is valid for 12 months and includes unlimited return visits but please be aware that parking charges still apply on FREE community event days at Woodhorn Museum including Invasion Day and the Northumberland Miners’ Picnic.